Hackney’s London Assembly Member Jennette Arnold. 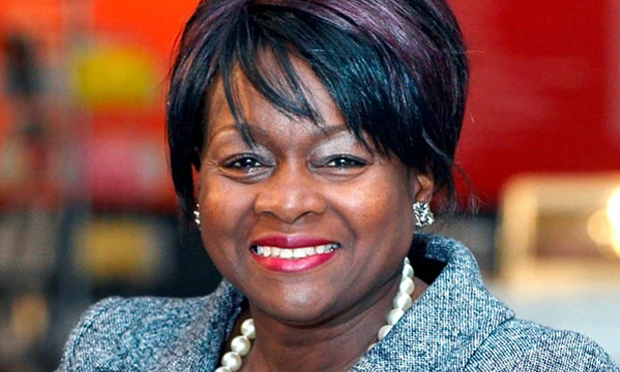 Hackney’s London Assembly Member Jennette Arnold has hailed the launch of an Ultra Low Emission Zone (ULEZ) in the capital – which sees drivers of the most polluting vehicles facing a charge to use the city centre. From today, high emission cars, motorbikes and vans will have to pay £12.50 to use the ULEZ for one day, with heavier vehicles such as lorries facing a daily charge of £100. The ULEZ covers the same central London core as the congestion charge zone – which drivers will still have to pay to use separately. But Mayor of London Sadiq Khan has already announced that from October 2021 the ULEZ will expand to the North and South Circular roads, and vehicles weighing 3.5 tonnes or more will have to contend with a city-wide charge from next year. Arnold said: “Today marks a major move forward in tackling the capital’s toxic air, which contributes to the early deaths of almost 10,000 Londoners per year and stunts children’s lungs. “At last, we are heading in the right direction to ensure that London reaches its target of zero emissions from road transport by 2050. Transport for London is running the scrappage scheme, which offers certain charities and micro businesses the chance to recoup some cash while getting rid of older vehicles that don’t meet the low emission zone criteria. Hackney-based law firm ClientEarth has been at the forefront of the fight against toxic air, earning three court victories against the government to force it to come up with a solid plan to address the issue. Its public affairs chief Simon Alcock welcomed today’s ULEZ launch as an “important step” in a column for ClientEarth’s website. He wrote: “Two million people in London are living with illegal air pollution, according to the most recent data. But according to King’s College, policies such as the ULEZ would mean London’s air could be within legal pollution limits by 2025. “The ULEZ will also help protect children. Recent figures showed nearly 500 schools in London were exposed to illegally high pollution. That figure will drop to five next year and down to zero by 2025 if the Mayor delivers on his promises. “The poorest are often those worst affected by air pollution and are least likely to own a car. It is therefore welcome that evidence suggests the ULEZ will reduce the health inequalities caused by air pollution in London. “As it stands, the ULEZ isn’t perfect. It needs to be expanded as soon as possible to cover the whole of Greater London. Children in Croydon and Brent have the same right as children in central London to breathe clean air.